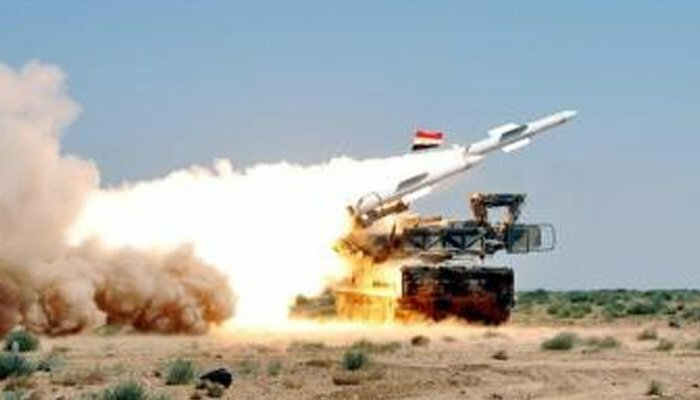 DAMASCUS: Syrian air defence shot down missiles over the western city of Homs, the state news agency said Tuesday, with the strikes reportedly targeting regime air bases. The news agency did not give further details and it was unclear who was behind the attack, which Syrian state television branded as an "aggression". Big explosions were heard near Al Shayrat Air base in Homs province, and in eastern Qalamoun near Damascus where two other air bases are located, the Syrian Observatory for Human rights reported. Observatory chief Rami Abdel Rahman said missiles did not hit any of the air bases. Following reports of an Israeli strike, an Israeli military spokesman said: "I´m not aware of such an incident." Shayrat air base was targeted by US Tomahawk missiles in April last year in a strike ordered by President Donald Trump in retaliation for a suspected chemical attack on the rebel-held town of Khan Sheikhun in Idlib. According to the Pentagon, US intelligence had established that the base was the launchpad for the alleged chemical attack.